Supplemental rules for TT/Racing can be found HERE. If you do not see the HPDE Group that you want, it means that it's full. Please email adrian@drivenasa.com to get on the waiting list. There is no HPDE1 or 2 offered at this event. Saturday will slowly work up to additional passing by the end of the day. Sunday will be a continuation, starting with limited passing everywhere in the first session and then very quickly picking up the pace in the subsequent sessions. This should better prepare drivers for Group 4. Sunday only entries should be aware of this. Only advanced drivers with open passing skills are permitted in HPDE4. All HPDE4 drivers who are new to NASA must be pre-approved by the Chief Instructor before being allowed to drive in HPDE4. If you wish to sign up for HPDE4, please contact us. TT is timed has open passing. You must possess a NASA TT license to be in this class. If you need to apply for a license, do it now. HPDE instructors….. Sign up for your TT group. Racers please enter early so that we can properly divide the groups. Remember the racer refund policy - you have nothing to lose. 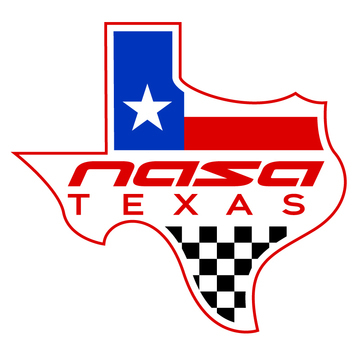 If you don’t know which class to enter, please refer to the NASA Pro Racing site. Racers can add TT with a big discount!